According to president Satoru Iwata, Nintendo may consider merging with or purchasing other companies to boost its profits going forward. Whatever criticisms people might level at Nintendo, on some level you have to respect the individual way that it approaches things. With Sony and Microsoft, you can generally see the two competing and responding to each other. In the case of Nintendo however, it often feels like the company just does its own thing. Unfortunately, as its recent tribulations have demonstrated, that doesn't always lead to success. That in mind, company president Satoru Iwata has revealed that Nintendo may consider casting aside some of its independent nature to improve its profits with acquisitions and mergers in the future. 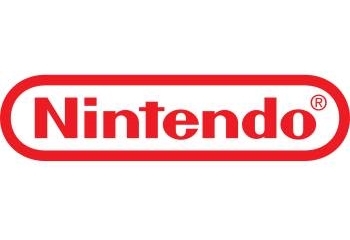 "If there is something that others are doing that we feel would leverage Nintendo's strength, we will incorporate that into our business," said Iwata during an investor presentation. "I will not deny the possibility of an M&A deal to implement this business." That being the case, Iwata made a point of affirming that going such a route "is not Nintendo's usual way" and that it would, in turn, "depend on the situation." He also made a point of stressing that the company is "[considering] many options" to improve its fortunes and that it doesn't have "specific plans" just yet. Nonetheless, the prospect of Nintendo buying or merging with other companies is one that could, in the least, provide some interesting possibilities for the future. If nothing else, it would be a sure sign that things are changing for the house that Mario built.